Medellín, Colombia, is host to this year’s Label Summit Latin America for the first time since 2014. The two-day annual event, which rotates between key locations in the region, is the leading label and package printing trade event of its kind in Latin America. To be held at Plaza Mayor Medellín Convention and Exhibition Center and taking place from 14-15 May, the hugely popular Label Summit Latin America is aimed at senior decision makers working within the label and package printing sector. UPM Raflatac has been confirmed as this year’s gold sponsor of the 16th edition of Label Summit Latin America, which is also supported by trade bodies ABFLEXO, ANDIGRAF, ASIMPRES and CONLATINGRAF. The two-day conference aims to equip delegates with in-depth label and package printing industry knowledge as well as strategic insights into how they can help move the industry forward in the region. With this in mind, the conference program has been designed with a very strong business and strategy theme throughout, featuring a diverse range of topics affecting the industry. The key focus for day one of the Summit is legislation and trends in Colombia as well as the wider region, and design and branding. Day two will focus on business markets and new opportunities. A table-top exposition from leading manufacturers will complement the conference program. Confirmed exhibitors in addition to UPM Raflatac include: AB Graphic, Elkem Silicones, Epson America, Esko Graphics do Brasil, Fujifilm North America Corporation, HP, Huella Digital, K Laser, Mark Andy, Natural Ink, Novaflex Representaciones, Pantec, Química Vulcano, RotoMetrics and Tesa Tape Colombiana. Visitor registration is now open, with an early bird discount in place until 26 April. The full two-day delegate pass for printers/converters, brand owners and designers costs USD $215 (USD $270 thereafter). Two-day supplier/manufacturer only passes cost USD $825. Full event passes include access to the table-top exposition, conference sessions, lunch, evening networking reception and refreshments. Demand for the table-top exposition is extremely high, with most of the available space now taken, so potential exhibitors are strongly encouraged to book as soon as possible to avoid disappointment. To register or to find out more, visit www.labelsummit.com/colombia. 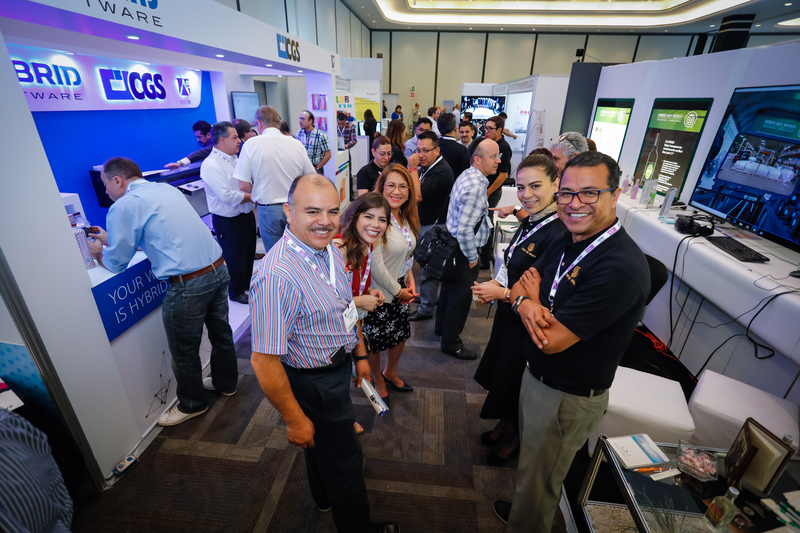 Label Summit Latin America is part of the hugely successful Labelexpo Global Series, which marks its 40th anniversary with its flagship Labelexpo Europe 2019. The Series also includes Labelexpo Americas, held in Chicago, USA, which in 2018 took place from September 25-27. The Label Summit currently alternates between Colombia, Mexico and Chile. The 15th Label Summit Latin America 2018 took place in Guadalajara, Mexico, and the sold out event attracted 964 attendees (89 percent at manager level and above, and 92 percent involved in purchasing decisions), from 25 countries. These include: Argentina, Brazil, Chile, Colombia, Costa Rica, Ecuador, Guatemala, Mexico, Paraguay, Peru, Puerto Rico and Venezuela. Additional confirmed sponsors for Label Summit Latin America 2019 include Tesa Tape (Silver), HP and Natural Ink. UPM Raflatac is labeling a smarter future by developing innovative and sustainable labeling solutions complemented with world-class service. As one of the world's leading producers of self-adhesive label materials, they supply high-quality paper and film label stock for consumer product and industrial labeling through a global network of factories, distribution terminals and sales offices. They employ around 3,000 people and made sales of EUR 1.5 billion (USD $1.9 billion) in 2017. UPM Raflatac is part of UPM - The Biofore Company. Find out more at www.upmraflatac.com.